The United States Aikido Federation has defined a standard set of rank requirements for adults, and we have added a few additional requirements to that. Falling: You should be able to demonstrate proper ukemi (falling technique). For fifth kyu, you should be able to demonstrate back rolls. For fourth kyu, you should be able to demonstrate forward rolls and shikko (knee walking). For second kyu, you should be able to demonstrate breakfalls. Conditioning: You should be in physical shape to have the stamina for the test, doing your own techniques and also acting as attacker for another person taking the test. If you need advice on conditioning, ask the head instructors. Attacking: In addition to the defender's movements in the specified techniques, you must be prepared to demonstrate that you understand the attacker's movements. 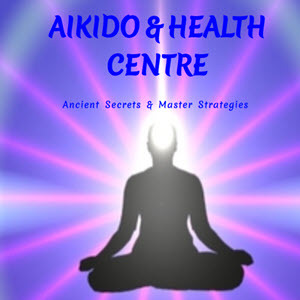 In a test, the attacker and the defender are cooperating to demonstrate what Aikido flow should be. Jo Technique: For second kyu and above, students will be expected to know Aikido jo technique, including the jo kata and jo suburi, jo throwing, and jo take aways. 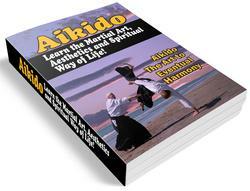 Seminars: Seminars are invaluable in broadening your awareness of different approaches to Aikido. Students who are testing for fourth and third kyu should have attended at least one seminar per year since their last test. Students who are testing for second kyu and above should have attended at least two seminars per year since their last test.